Manchester alarms specialise in all types of Security Systems, from Central Station Monitoring to Guarding response or just notification to authorised individuals. 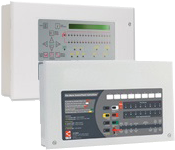 We at Manchester alarms are experts in Wireless Alarm Technology, giving both flexibility and reliability over conventional wired systems. Manchester alarms has been installing Security Systems since 1987 and wireless systems for over 7 years. Manchester Alarms is a one stop shop for all your Security and Electronic requirements,based in Marple, Stockport, Cheshire. Established in 1987, we have a wealth of experience in the Security Industry to offer our clients. We Provide services in providing installation, maintenance and servicing of Burglar Alarm Systems,Domestic Security,Commercial Security, Wireless Security Systems, Fire Systems, CCTV Technologies, Access Control Systems and all electronic security aspects. 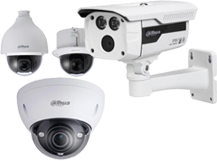 We can service and repair/replace existing security systems. We specialise in Wired or Wireless Burglar Alarms. 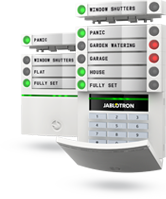 The traditional alarm system is dead, prepare for the next generation of home automation. Remote Access – ability to monitor your Alarm from your iPhone, iPad, Smart phone from anywhere in the world!!! Remote Access – ability to monitor CCTV from your iPhone, iPad, Smart phone from anywhere in the world!!!. with over 20 Years Experience your in safe hands. 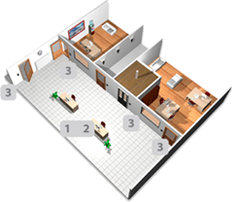 from just simple swipe entry to complete building control systems. Home Automation Specialists, Remote Access – ability to control doors, gate system, locks from your iPhone, iPad, Smart phone from anywhere in the world!! !.